Welcome to Arwa Chiropractic - a Professional Chiropractic, Acupuncture, and Massage Therapy centre. 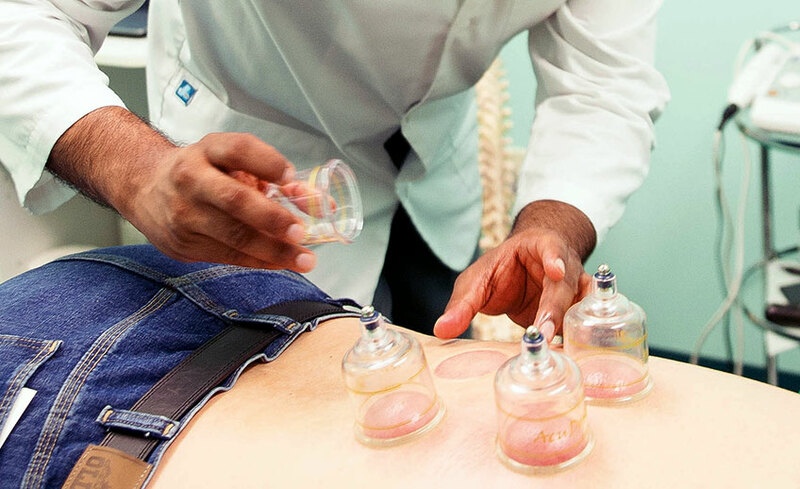 Cupping therapy works by reducing the pain we feel in our bodies. In alternative medicine, pain is believed to be caused by problems relating to your Qi flow. This can be related to stress in the body, imbalances of hormones and fluids, lack of blood flow, and temperature in the muscles and joints. When a suction cup is place on a problem area, the vacuum pull of the cup creates warmth and circulation in the area. Very soon, you will feel that the pain is reduced. In Chinese medicine, all the organs are connected together. So if you have a problem with one organ, it can affect the health of other parts of your body. For example, it is believed that the kidneys are connected to a persons aging. A person with an imbalance or disease in the kidneys will experience more graying of the hair, wrinkled and dry skin, etc. Does it Hurt? 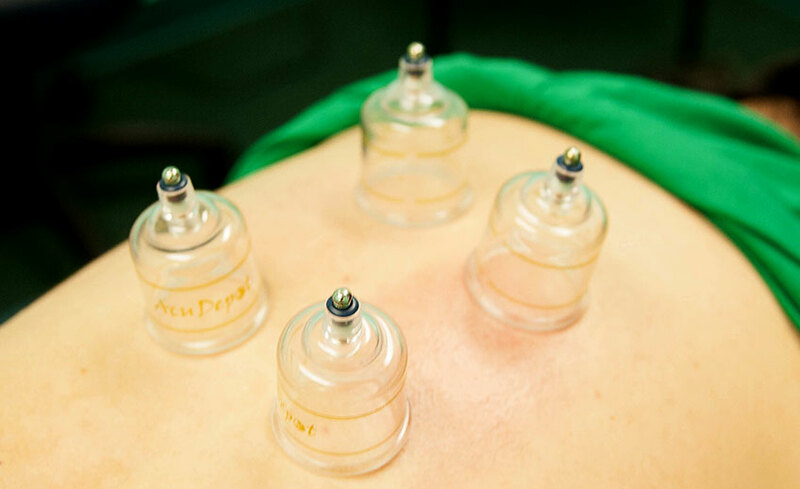 If you have never had cupping before, it can feel a little strange the first time the cups are put on. The sensation should be tight but not painful. 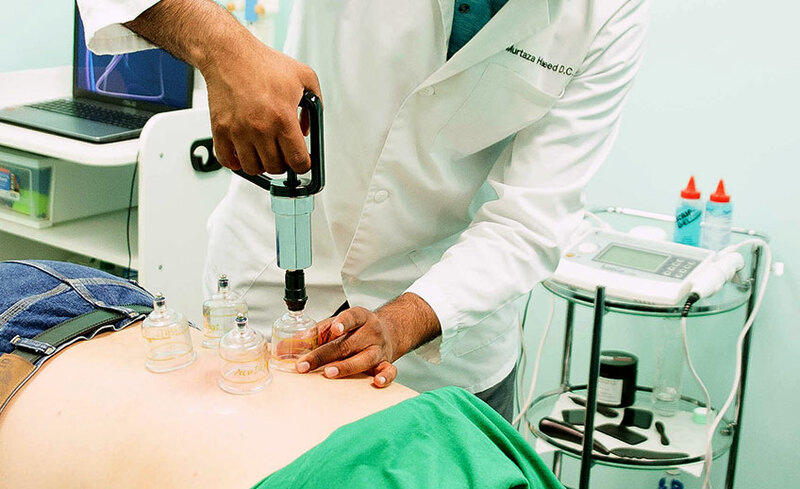 The traditional method of cupping involved burning the oxygen from the inside of a glass cup with a flame before quickly placing it on the skin, but nowadays plastic pump action cups are often easier to use However, experienced patients normally report that the sensation during treatment simply feels as if something or someone is tugging at their skin. There are apparently no reports of pain. Welcome to Arwa Chiropractic - Professional Chiropractor in Aurora, IL, USA. We are conveniently located facing McCoy Drive in the Vastu Commons Office Complex on the East-Side of Aurora, Illinois. We proudly serve Aurora, Naperville, North Aurora, Plainfield, Sugar Grove, Batavia, Montgomery, Yorkville, Oswego, West Chicago, Bolingbrook, and greater Chicagoland Area. 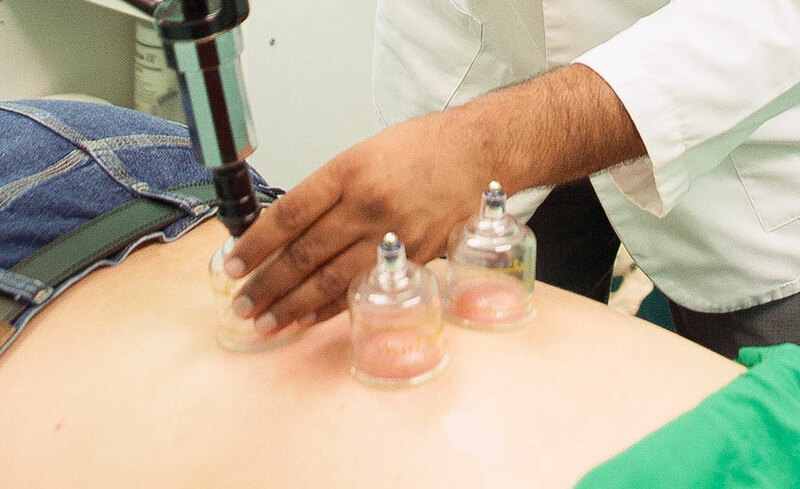 Arwa Chiropractic is your leading provider for Acupuncture, Chiropractic, Cupping, Gua Sha and Massage services in Aurora, IL US. We are currently located facing McCoy Drive in the Vastu Commons Office Complex. When coming from Route 59 and heading West on McCoy Drive, the office is just past the intersection of McCoy and Commons, after passing the Foundry on your right. If coming from Eola Road and going East on McCoy Drive, the office will be on your right hand side after passing the Fire Station on your left and right after the intersection of McCoy and Gregory. And if coming from Ogden/Route 34 and 59 and going West on Ogden, you would take a right on Gregory towards Mccoy Drive and the office complex will be on your right. If coming from 75th Street and Ogden/ Route 34, you would make a left onto Gregory towards McCoy Drive and the office complex will be on your right.